A few years ago, I had the privilege of woking with Medwyn Goodall to produce these Downloads. I have chosen these topics as I feel they reflect the most common issues that I get asked about. I also think they are a really nice way to introduce hypnosis to you. People in general have lots of questions about hypnosis and hopefully I have answered some of them in this website or you may have called me. These are another way for you to get to know a little bit more. When you receive your download, please make some time to listen to the introductory advice so that you will get the best from your experience. 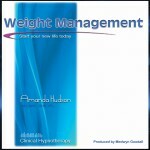 Imagine what you could achieve in your life when you regain control of your eating and start to enjoy food again. Become the ideal weight and have more energy to spend doing the things that you enjoy. That’s right it’s time to live your life fully. Relaxing deeply into sleep is the easiest thing for you to do right now……….. Take your mind on a journey – a pathway that leads to deep sleep, good quality sleep and the habit of sleeping well every night. For a great night’s sleep, every night. Confidence in your own ability is the first step to creating the life that you desire. Relax as you become in tune with your inner mind and are able to access and reclaim your natural confidence. Essential when delivering fluent presentations, relaxing in social situations or building your self-esteem. 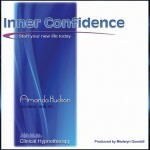 Amanda will take you on a journey to inner calm. Imagine a beautiful beach where you will free yourself from any tension and bring tranquillity to your inner mind. Become more at ease within yourself. Unclutter your mind and make space to create a new improved you. At times we hold on to emotions, items or images that are no longer useful to us, in fact they may be holding us back from realising our full potential. 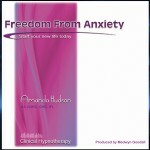 Let Amanda take you to the attic of your inner mind and make space for a new you. These downloads have been carefully designed to assist you in achieving your desired goals, in addition, allowing you to absorb the positive suggestions and following the guided imagery will begin a process of positive change. As you listen to these downloads, suggestions begin to take root in your subconscious, permanently replacing past negative messages. 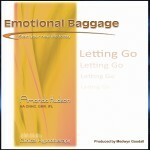 Regular use of these recordings will assist you in tapping your inner resources. For the best results listen to your recordings at least once a day, you may even decide to make it a morning and evening routine. Continue to listen for 8-12 weeks. You may, at some point, wish to listen to a different recording at times, this is absolutely fine, but I would recommend that you listen to one recording for about 21 days before moving on to your next one. For best results in accomplishing your goals, practice regularly – preferably daily. Find a time that suits you best and fits in with your lifestyle. You may like to listen to the recordings first thing in the morning, so adjust your routine accordingly. Remember, the deep relaxation that comes from Hypnosis is beneficial in it’s own right. 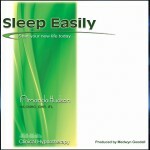 If you need to wake up earlier or sleep later to be able to listen to the recordings you will not be losing sleeping hours. This is often the best times for busy people to add the practice into their lifestyle. Experiment to see what works best for you. Although you may notice a difference within the first week or two, permanent change does take time. If you skip occasionally, just get back on track and stick to a routine as well as you are able. However, if you choose to listen at bedtime, you can fall asleep at the beginning and be assured that your subconscious continues to absorb the suggestions. I have designed the downloads so that you have an option to play at bedtime and drift into sleep at the end of the recording. There is also the option to play the recording and then come back to normal alertness, ready to continue your day.